The St. Thomas Flight Centre provides personalized, professional flight training in a relaxed and friendly environment. Our mature, dedicated, career Flight Instructors offer you a diverse range of flight experience. Whether you are interested in flying recreationally or choose aviation as a career, the flight school can assist you in achieving your goals. 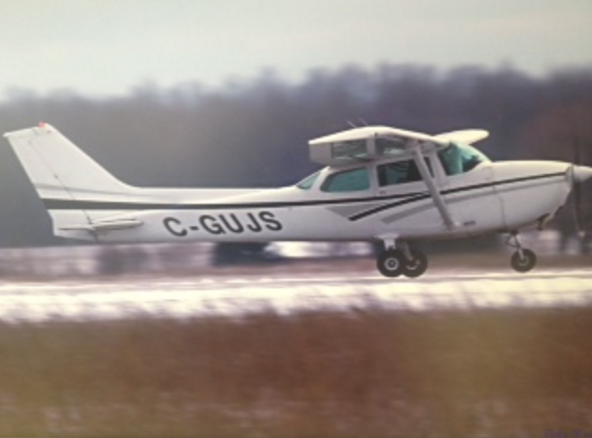 The airport is located on Highway # 3, 4km east of Highbury Ave., just 15 minutes south of Highway # 401. Easily accessible, it provides an uncongested flight training environment. School offices are located in the Flight Training Centre and ground school classes are held on site. The St. Thomas Flight Centre provides personalized, professional flight training in a relaxed and friendly environment. Our mature, dedicated, career Flight Instructors offer you a diverse range of flight experience. Established in 1996, the St. Thomas Flight Centre offers flight training from the Recreational Pilot Permit through to Commercial Pilot Licence and Multi-Engine Instrument Ratings. The Flight Centre has been granted “Private Career College” status under the Private Career Colleges Act, 2005, providing complete training for Commercial Pilots and Flight Instructors. License # 103072. A flight training program will be customized to suit your schedule. Three Class 1 Instructors are available to teach the Flight Instructor Rating and tail wheel checkouts are also available. Make life more interesting! Make yourself more interesting! Become a pilot. Embrace the thrill of the great unknown. Learning to fly is a challenging, rewarding adventure that will expand your horizons. In addition to acquiring new skills, flying is fun, safe and affordable. What a great way to travel. Experience the freedom of going where you want, when you want. A weekend get-a-way or a day trip is less stressful and more fun. Many St. Thomas Flight Centre graduates have attained entry-level positions in commercial aviation…. Aerial photography, fire detection, cargo and passenger service and spray pilot. Dedicated, full-time students can attain their Commercial Pilot Licence in 12-18 months. Where will you be at that time? We fulfil dreams whether you want to fly recreationally or become a Commercial Pilot.